www.spiritlovesyou.com - GEORGE KOURY. PSYCHIC MEDIUM & ANGEL MESSENGER. "I am dedicated to serving Spirit and helping you." Sign up now for George's FREE newsletter & get 3 FREE GIFTS from the Angels. Get 2 downloadable gifts now. 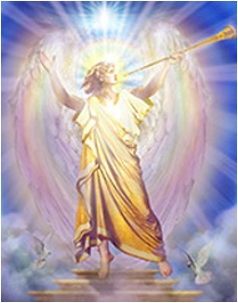 Then receive a monthly invitation to his FREE "Calling All Angels" conference call. “The reading ﻿was magnifice﻿nt. You have such a wonderful gift of connecting with ﻿the essence of what matters. "George is an amazing Medium. He delivers accurate evidence with both a great sense of humor and deep compassion." - Sharon Anne Klingler. Hay House author of "Power Words"
"Love you George! You're such a gift to this world!" - Kyle Gray. Hay House author of "Angel Prayers"
Angel painting is copyright by and courtesy of Marius Michael-George.